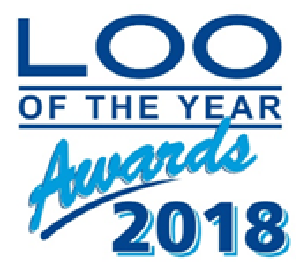 The Loo of the Year Awards inspection team are now completing the inspection of thousands of 2018 Loo of the Year Awards entrant’s washrooms throughout the UK, including many new entrants. They are travelling thousands of miles by road, boat and aircraft and will have visited hundreds of towns and cities (including the Scilly Isles!) while inspecting every category of ‘away from home washroom’. The inspection criteria are based on fitness for purpose from the user’s perspective. Are the washrooms clean? Do they provide all the facilities that users will require? Do they meet Building Regulations Doc M and Equality Act dimensions and the needs of users that require accessible toilets or Changing Places facilities? Do they provide adequate facilities for babies and children? Are they attractive – light, inviting and have the Wow factor.